We’ve talked about it a lot around these parts this year, since before the season even began — so many Mountain West teams putting all their eggs in a very small scheduling basket. For instance, Utah State’s only really quality non-conference game was its rivalry game with BYU. After losing that one, it was assured that their best win prior to the calendar flipping over to conference play would be at UC Santa Barbara – a good victory for sure, but not one to pin your NCAA Tournament hopes on. 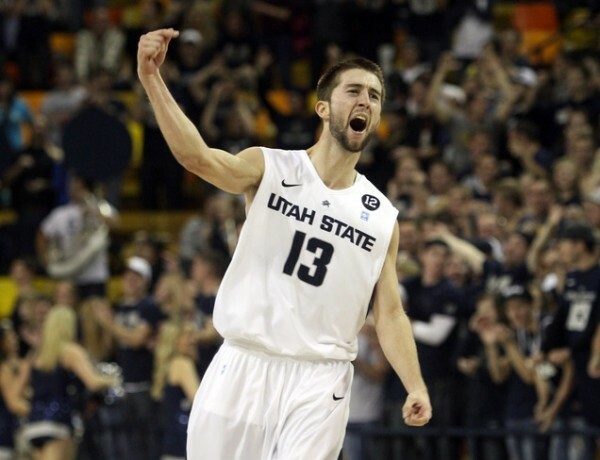 To make matters worse, Utah State backed up that BYU loss with a home loss to Pacific. So now the Aggies sit at 5-2; they’re lucky to have an RPI in the low 40s; and they face the prospect of needing a very strong run through the Mountain West on their first go-round in order to get themselves in the NCAA Tournament talk later this year. Likewise, Boise State went out and put together a schedule not befitting for a squad with borderline Top 25 talent and arguably the best team in school history. Certainly, they’re in the midst of the toughest stretch of their non-conference schedule, what with a trip to Kentucky on Tuesday night followed by a visit from an undefeated Saint Mary’s team on Saturday. But, as could have been expected, the Broncos struck out against the talented Wildcats, getting killed on the glass and at the rim and not being able to find enough good clean looks from deep against their long and athletic guards. Now all their hopes for a quality non-conference win get pinned on Saturday’s game against the Gaels. Again, on the basis of six wins in seven games, the Broncos are fortunate to have an RPI of #40, but with no resume wins in the non-conference, those four conference games against New Mexico and San Diego State in conference will loom large. You see, it is only the Aztecs and the Lobos who have succeeded in coming away with some quality wins in the non-conference. SDSU has scalps from Creighton and Marquette, while New Mexico’s got UAB and Cincinnati on the wall already, with Kansas in Kansas City looming on Saturday and Marquette up the following Saturday. None of the victims of the Lobos or Aztecs are elite teams, but they’ve at least helped their teams to RPIs of #11 and #17, respectively. At the quarter-pole of the year, those two squads are alone among Mountain West teams on the good side of the resume ledger.